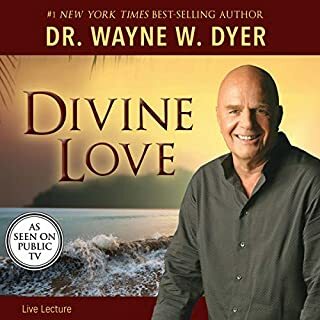 Divine Love for Wayne Dyer. The feelings of emptiness; the idea that there must be something more; wondering "Is this all there is?" and trying to determine the meaning of life; this is all evidence of a yearning to reconnect with our soul space. We're aching for our calling to be felt and expressed. 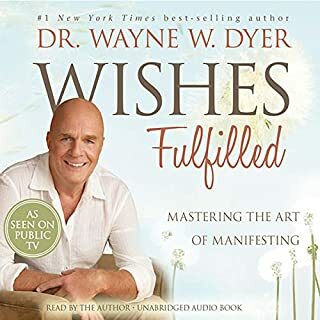 In this groundbreaking audiobook, Dr. Wayne W. Dyer explains how we've chosen to enter this world of particles and form. From our place of origin, in ways that we don't readily comprehend now, we knew what we were coming here to accomplish, and we participated in setting this life process in motion. So why not think this same way? Why put the responsibility or blame on any one or any thing that's not a part of us? 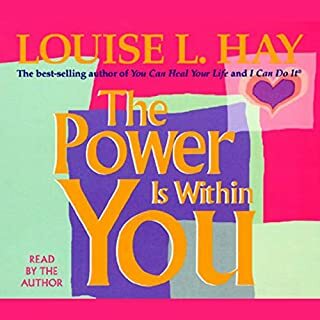 On Earth we have the capacity of volition, we can choose, so let's assume that we had the same capacity when we resided in the spiritual realm. We chose our physical body, and we chose the parents we needed for the trip. It doesn't seem too great a stretch to move into the idea that we chose this life in concert with our Source. 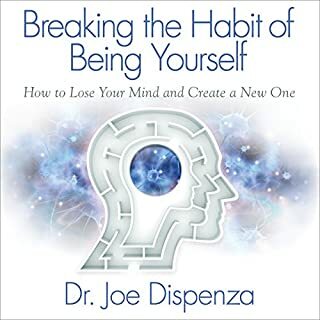 Each chapter in this audiobook is filled with specifics for living an inspired life. 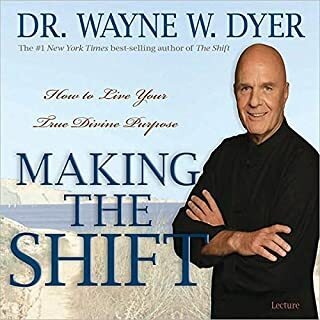 From a very personal viewpoint, Wayne Dyer offers a blueprint through the world of spirit to inspiration, your ultimate calling. 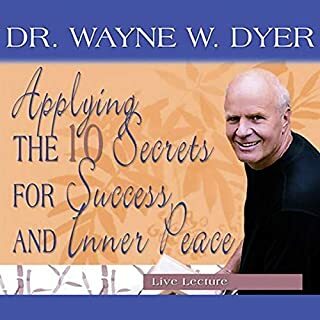 ©2006 Wayne W. Dyer (P)2006 Hay House, Inc. 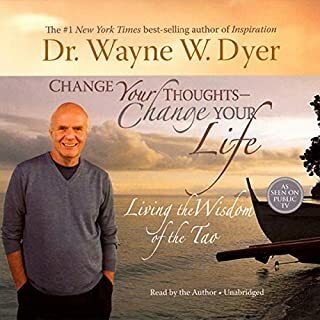 I love listening to Wayne Dyer, but this audiobook loses me. 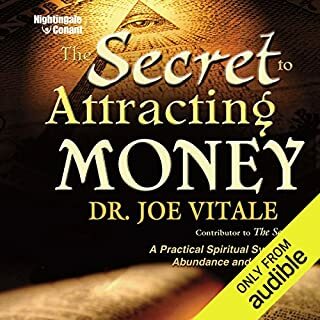 It contains a lot of the same information he uses in his "Secrets of the Power of Intention" (which I thought was brilliant)but something is lost here. 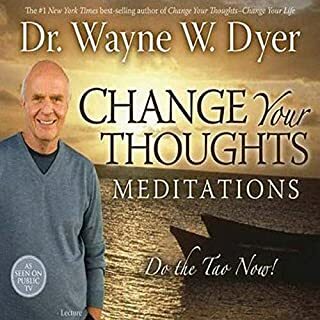 I wonder if Dr. Dyer shouldn't consider revising his books before sending them to his editor. The writing lacked clarity and beauty that only revision can reveal. It also was stuffed full of stomach turning cliches that distracted from the message of the book. Plus, I can't stomach all of the finger-wagging of this book. He is constantly looking down his nose at everyone else, accusing them of "living in ego," while simultaneously patting himself on the back for being so super spiritual. 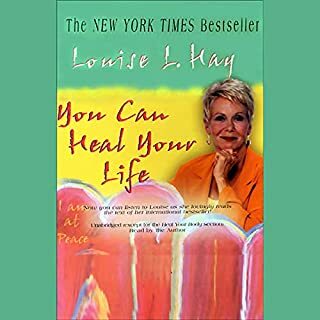 This book made me feel unhappy and completely at odds with God. The whole point of the title is that it should teach me to live in spirit not out of spirit. In this objective, it fails completely. One good moment of the book is when he is talking about excitement being a sign that you can be good at something. I find that inspiring and helpful. 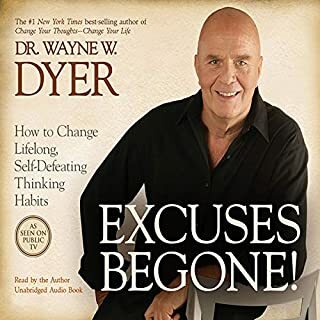 In the final analysis though, I find Dr. Dyer a far better lecturer than he is a writer because in his lectures he is able to focus on the principles and stay away from his attempts to be clever in his wording. It appears that whenever he attempts this it ends up being super corny. 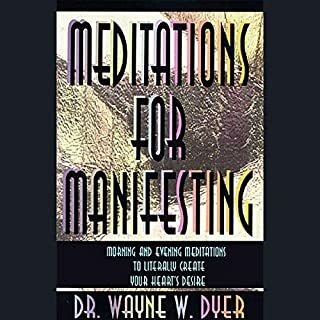 Dr. Dyer has been my spiritual "guru" since 1978. Through thick and thin his books, tapes and lectures have reflected the spiritual growth in my life. 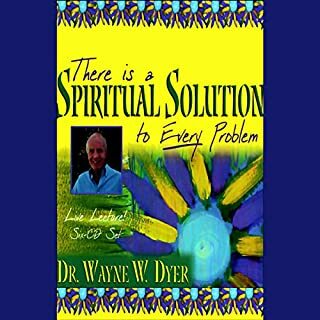 Dr. Dyer's journey from "athlete" to "spirit" has been clearly documented in his works. 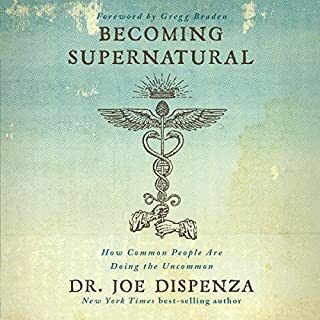 While some suggest (perhaps accurately) that he has parroted the works of others, his talents for presenting clear, concise, modern-day strategies for maximizing our experience as spirits in these bodies is second to none. I have had the karmatic pleasure of hearing him speak in Phoenix and meeting with him briefly. I continue to find him to be a genuine, caring person full of love for everyone he meets. This book may carry a simple message, however, those can sometime be the most profound. OK, But far from his best. 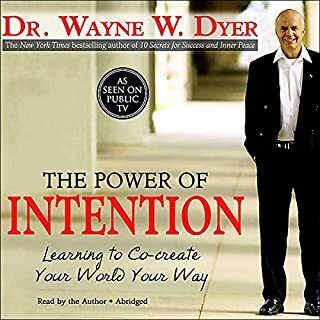 I've read and listened to a lot of Wayne Dyer over the years but his reading of this book is ironically rather uninspired. The content is OK but certainly doesn't contain anything new. 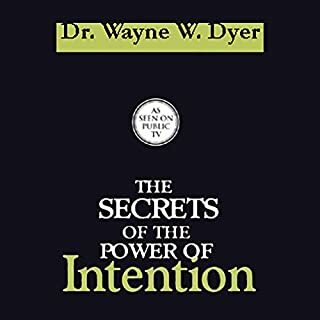 The audio from the seminar on the Secrets of the Power of Intention is much better. Still, Wayne goes a little overboard and can be self-absorbed at times. But I still enjoy the essential principles that he teaches. Dr. D is my light! I have learned so much from this great man! If inspiration is what you need, look no further- this is the book for you! Thank you so much Dr.D! 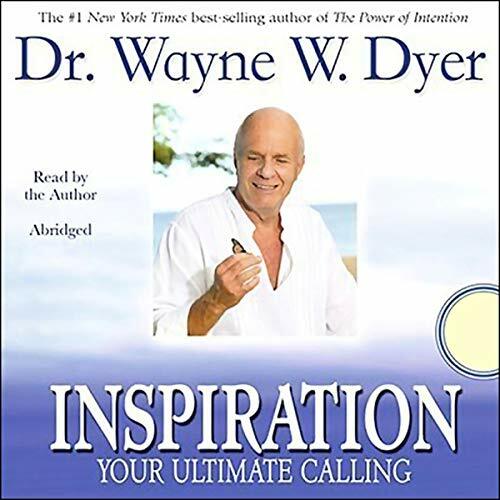 I really loved how Dr. Dyer explains his personal experiences that inspired him. I had bought CDS Long time ago, but now this is available, which is great. If you could sum up Inspiration in three words, what would they be? His voice is so calming. Great story Teller. What insight do you think you’ll apply from Inspiration? keeping the EGO (easing GOD out) in check and remembering we are not separate from the source that created us. Get this Book. Buy one for a friend. 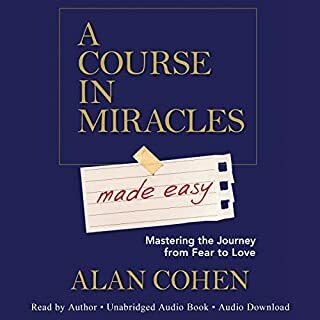 Would you consider the audio edition of Inspiration to be better than the print version? 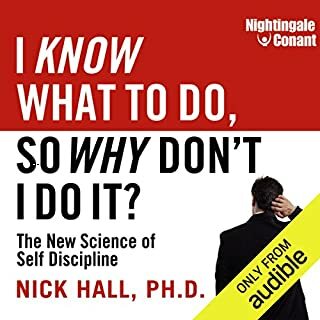 What other book might you compare Inspiration to and why? Perfectly aligned with the Wayne Dyer train of teaching. Steady calm pace made it easy to absorb. I love all the different perspectives he gives of what it means to live in spirit, be inspired and to inspire....a well rounded explanation with appreciation of his shared personal examples. Would you listen to Inspiration again? Why? Off course. This you need to have handy all the time to remind you to stay inspired! He always speaks from the heart in a way that resonates with me. He explains everything so clearly, with complete honesty - if you follow his principles no doubt your life will be nothing less than extraordinary! Highly recommended listening!